MATUGGA – Bright Stars missed a host of chances as they drew 1-1 with Express FC at the Champions Stadium in Mwerere. Unbeaten in their last 5 games going into Tuesday’s fixture, Express took an early lead through Eric Kambale but Brian Kayanja replied before the break for the sides to end the day with a point apiece. The game started with both sides having moments in front of goal which materialized to nothing meaningful. 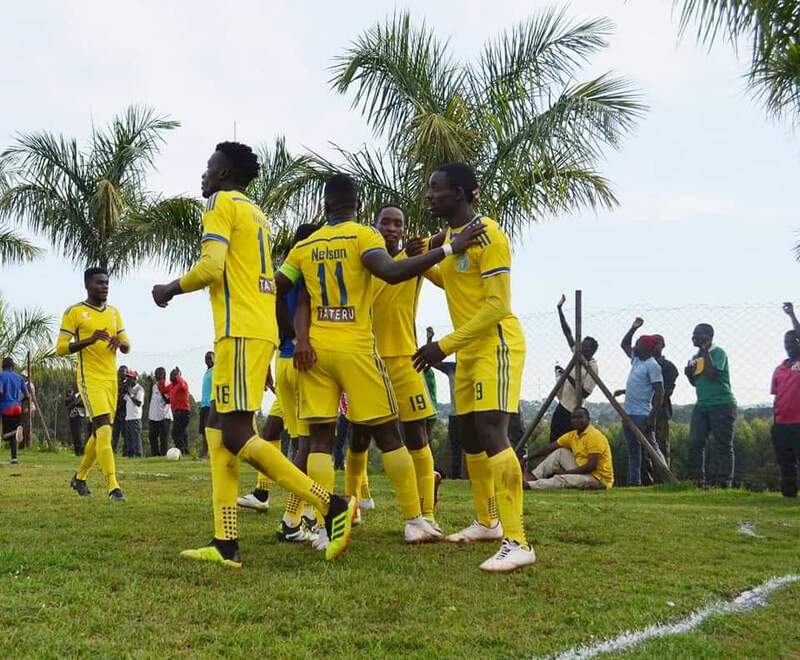 The first real chance of the game came on seven minutes when Bright Stars’ Captain Nelson Ssenkatuka blazed over Dan Bilikwalira’s cross from the left. Three minutes later, Kambale made Ssenkatuka pay for his missed opportunity when the Express striker turned in Ibrahim Kayiwa’s well cut-back cross to put the visitors 1-0 up. A minute after the re-start, the home side had a glorious opportunity to level matters but Kayanja’s shot was expertly pushed away by Tony Kyamera in Express’ goal. With 18 minutes played, Shafic Kaketo brought Kayanja down inside the area but penalty appeals by Bright Stars were waved away by referee Ali Sabira. At the other end, the Red Eagles also saw Sabir wave away a penalty appeal of their own after Badru Nsubuga was bundled over inside the area. Two minutes later, Bilikwalira who was lively on the left all day sent in a delightful cross from the left but Kayanja headed over. asking all the questions and moments later Mahad Kiseka shot straight at Kyamera after good work by Kayanja. On 27 minutes, Express left back Disan Galiwango went into Sabira’s black book following a foul on Kiseka. From the resulting free-kick, Kayanja again headed over Bilikwalira’s delivery. A minute after the hour mark, Ssenkatuka ran through on goal but failed to find the back of the net as Kyamera dived left to push away the striker’s curling effort. However, the hosts would not be denied again as Kayanja’s ferocious effort from just inside the area found the back of the net following a weak headed clearance by Express Captain Julius Ntambi. Just before the break, the host could have doubled their tally but Ssenkatuka again saw his effort saved expertly by Kyamera who in the process injured himself and would be replaced at the start of the second half by Ronnie Mutebi. At the start of the second half, both teams played more conservatively leaving less room for the other to operate while in the opposing third. On 54 minutes, the home side made their first switch in terms of substitution as Jungu Tadius came on for Kiseka. With little positive impact made even after the introduction of Jungu, the Matugga based side made another substitution as Kokas Opejo replaced Andrew Kaggwa. Opejo nearly made instant impact as he controlled Bilikwalira’s cross two minutes later at the back post but could not find Ssenkatuka while unmarked in the area. The home side continued to press for a winner but Ssenkatuka headed Bilikwalira’s free-kick agonisingly wide on 64 minutes. Express’ best chance of the second half came with 14 minutes to play when Michael Birungi ran through on goal but shot tamely at Hamza Muwonge in the host’s goal. With 10 minutes to play, Bilikwalira sent in a long throw-in which eluded everyone but Ssenkatuka but the striker’s poor show in front of goal continued as he headed over from close range. Like Ssenkatuka earlier, Kayanja had two quick chances in succession to win it for Bright Stars but could not capitalize. First he was played in by Ssenkatuka but could only blaze over and then looked on in dis-belief as his force effort from distance went inches wide of the target. In the end, both sides had settle for a point apiece despite missing several chances. The draw means Bright Stars move into second on the log with 15 points from 8 games while Express now sit 5th after accumulating 13 points.